If you've got a project you'd like to discuss, or you're in the San Francisco area and would like to grab a coffee, please shoot me a message! Product design overview of Habit, a ground breaking personalized nutrition company. 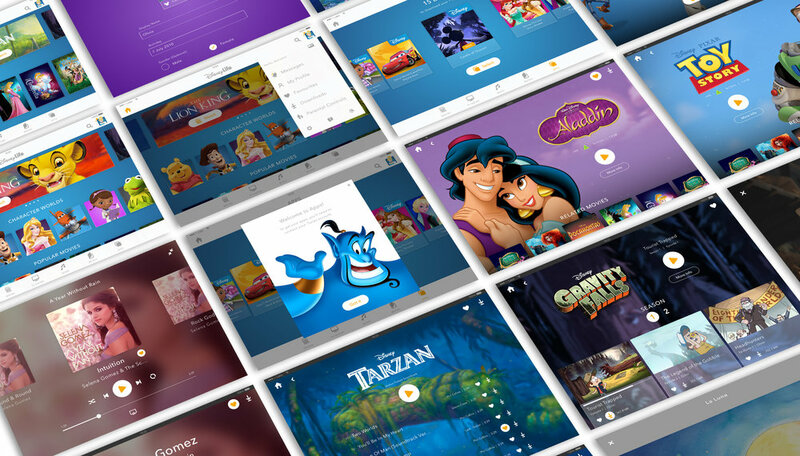 Project overview of DisneyLife, Disney's new digital subscription including Movies, TV Shows, Music, Books and Apps. Product design project for Air Cam, a small wirelessly charged video camera that streams video to your smart phone. Company overview of Creo, the digital agency I co-founded. Project overview of Countertop, real-time nutritional data in your kitchen. Product overview of ClockWork, project time tracking on your iPad. A selection of my work for JELD-WEN, the largest window and door manufacturer in the world. Client overview of Style Me Perfect, online fashion styling. Project overview of Brush Monkey, bedtime brushing without the battle. I’ll start by saying Ryan is a really good designer. The designs he presents when solving a specific user experience problem usually draw a collective “damn, why didn’t we think of that!” from the room. He’s incredibly creative (check out the youtube video of him giving his wife a haircut or building a table or creating a surfboard), really good at listening, and has expert chops in visual and UX.